Launchpad couldn't connect to OpenOffice.org Issue Tracker. 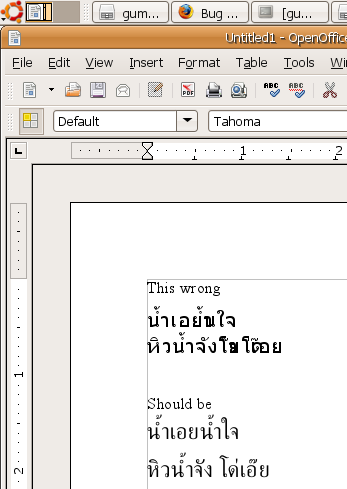 In some fonts, OpenOffice.org render ำ incorrectly by render it on the upper wovel. 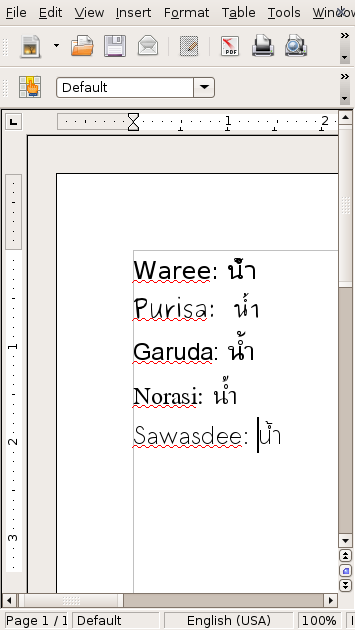 In previous version of Ubuntu (7.10), can type that upper vowel "ำ" correctly with any fonts. 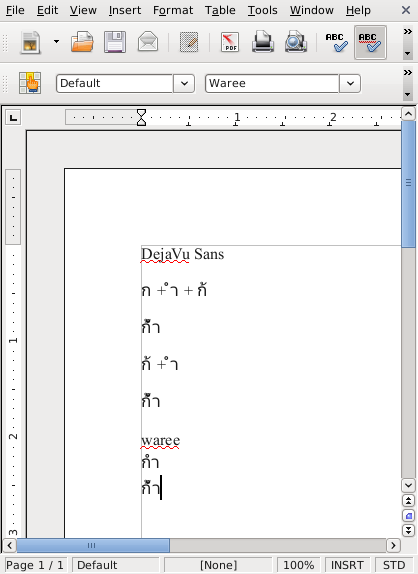 confirm bug with "DejaVu Sans" and "Waree"
Manatsawin Hanmongkolchai, could you please attach a Writer file that demonstrates this issue? Does this issue occur for you in LibreOffice? Thank you for reporting this bug to Ubuntu. This Ubuntu release has reached EOL for Desktops. Since this bug hasn't been touched in a while and the Incomplete autoclose didn't work, I'm going to close it. If you can still reproduce on a new version of Ubuntu, please reopen it.